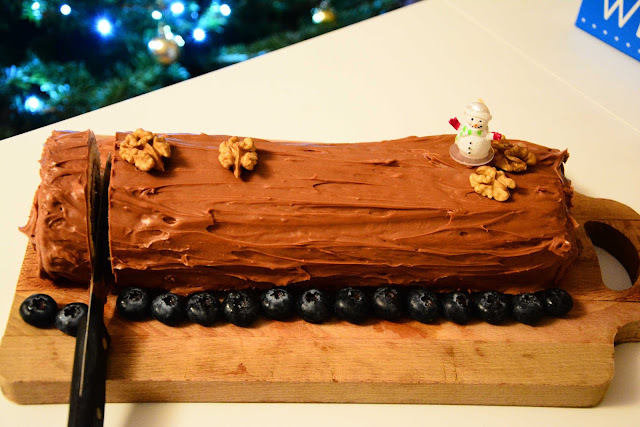 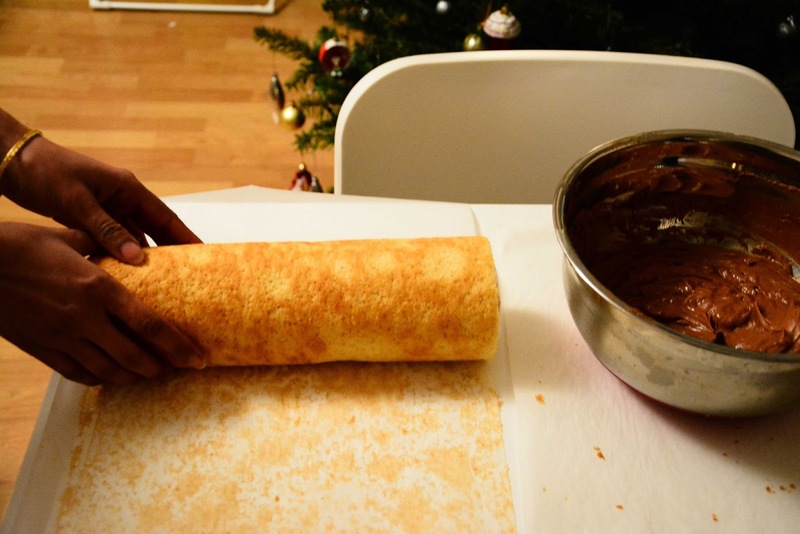 In France, Belgium, Quebec, New Brunswick, Vietnam, Lebanon and generally in French-speaking countries, the Christmas meal ends with a Christmas log cake called the Bûche de Noël. 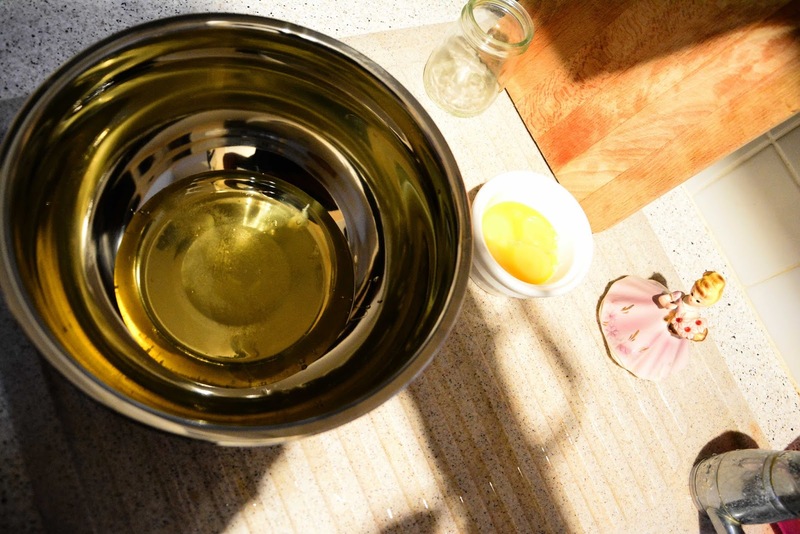 This culinary tradition is in fact related to the celebration of the winter solstice. 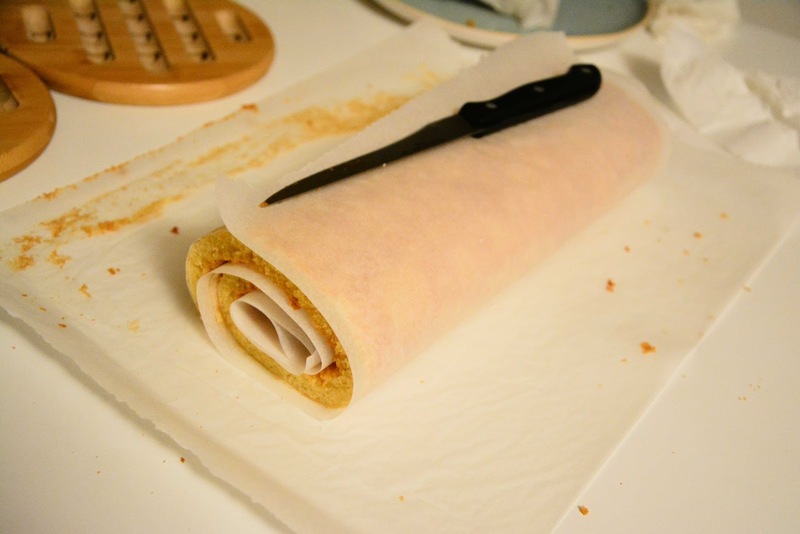 This custom has been attested since the Medieval Ages and is inherited from various pagan rites. 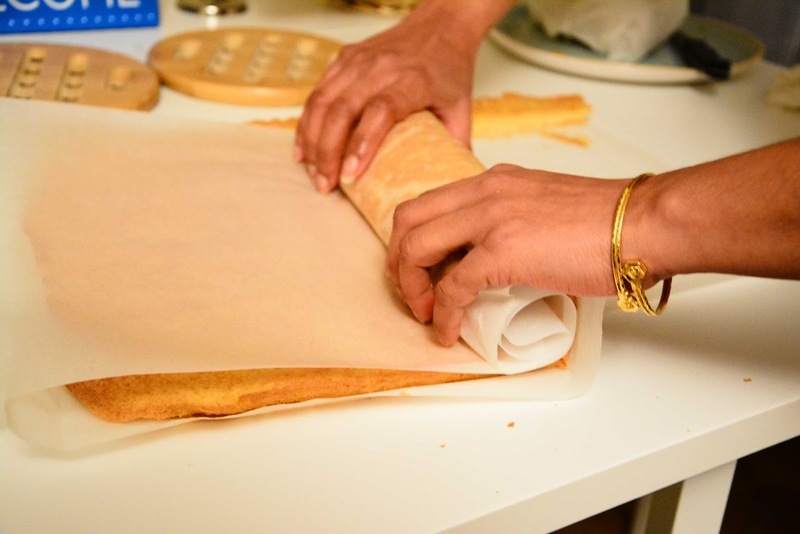 It is also widespread throughout Europe. 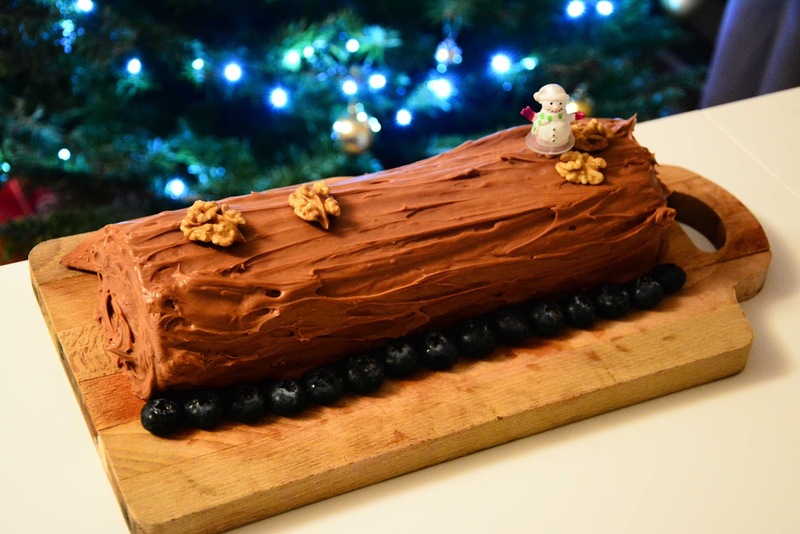 Before the advent of the Christian traditions in Europe, the pagan cults (Yule festival among Germanic people and Cacho-Fue in Provence during the winter solstice) offered a burnt log to their gods for better harvest during the coming year. 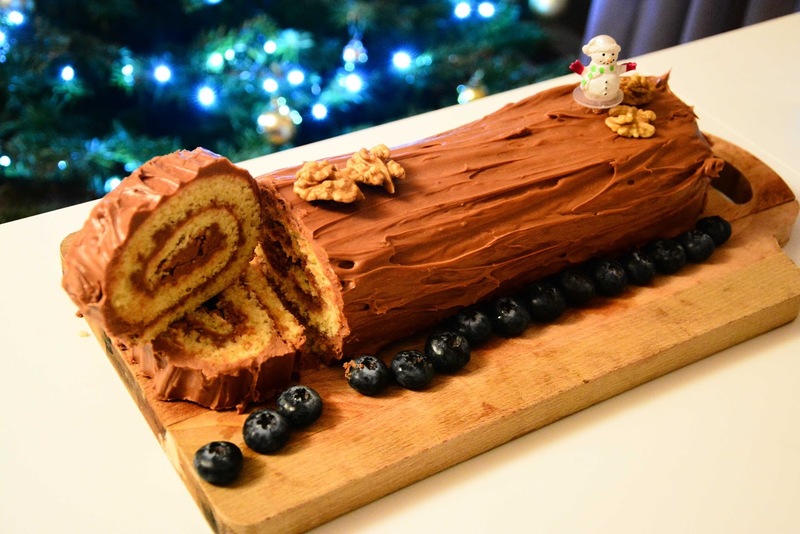 The tradition of baking cakes in the form of a log however evolved during the early 20th century and soon became widespread throughout France. The traditional Yule log cake consists of a rolled yellow sponge cake in the form of a log with chocolate butter cream icing on it. 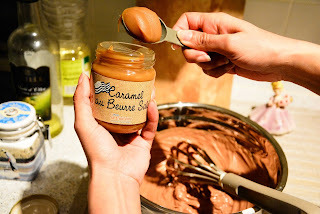 The contemporary versions however, even including those of some renowned pastry chefs, have completely overlooked the rolled sponge, making simple sponge cakes in the form of a log using molds, concentrating more on the perfect smooth ganache using high-end cooking instruments. 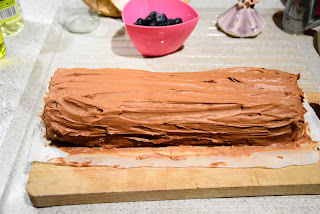 This is something, I however do not prefer mainly when they have started calling them the Bûche de Noël, because generally a log or a fallen tree trunk is never smooth and without the growth rings. 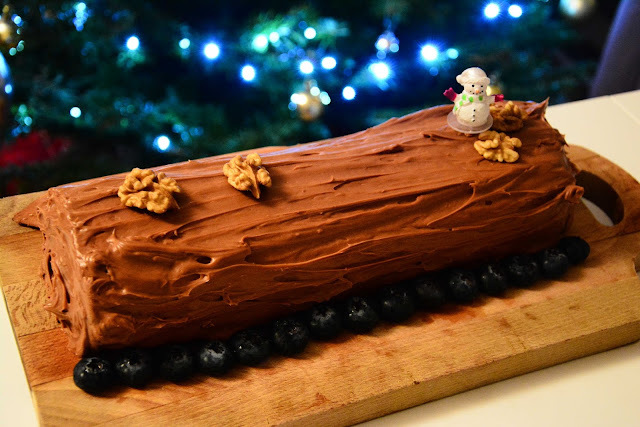 So here is my recipe of making a traditional Bûche de Noël that resembles a true wooden log which the Celts burned in the erstwhile era. Here is my recipe for making a traditional Bûche de Noël that resembles a true wooden log which the Celts burned during Christmas. 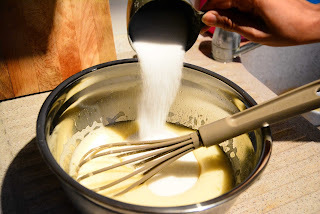 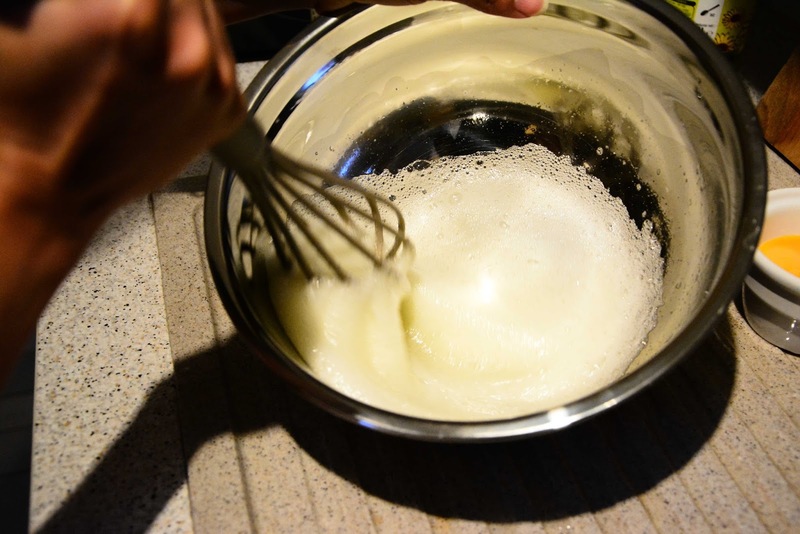 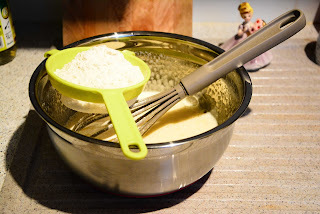 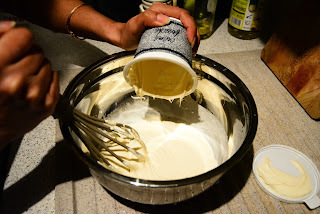 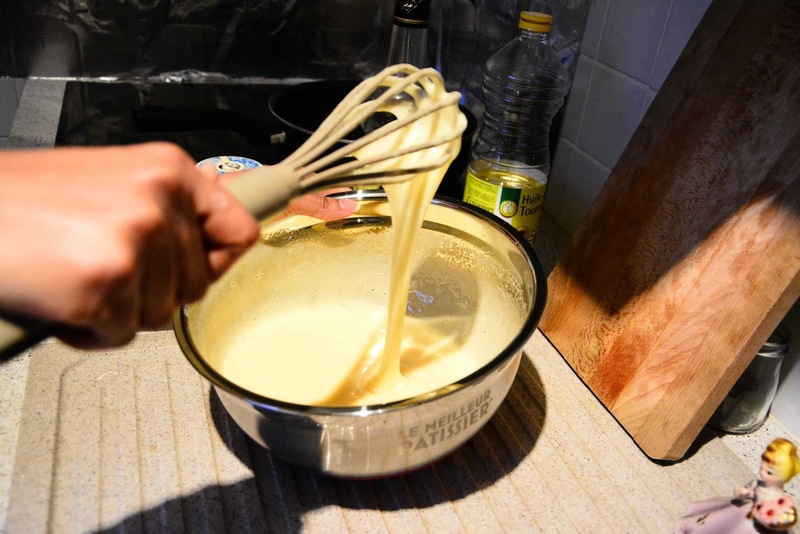 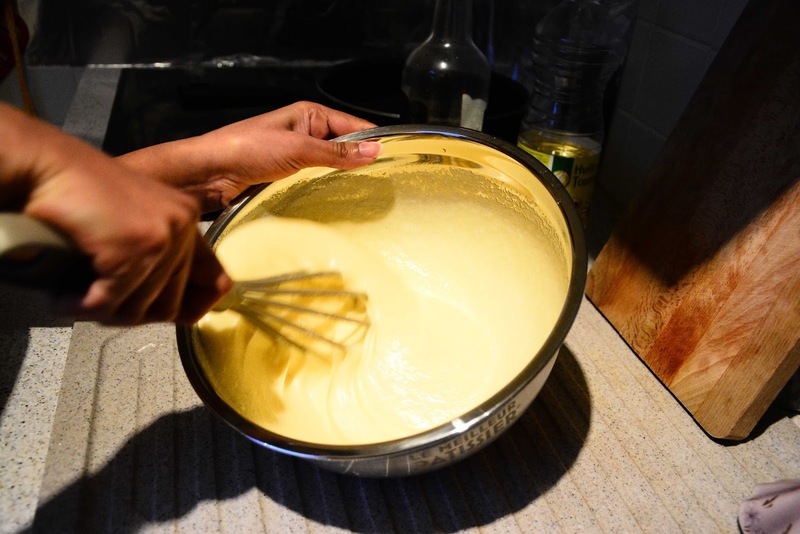 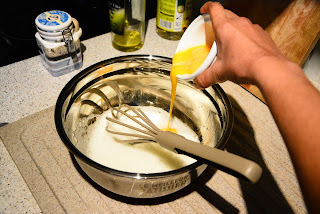 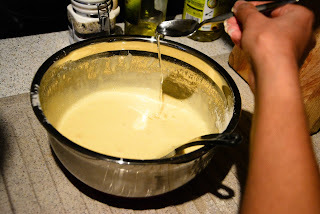 Add a pinch of salt to the egg white and beat it with a whisk till it becomes frothy. 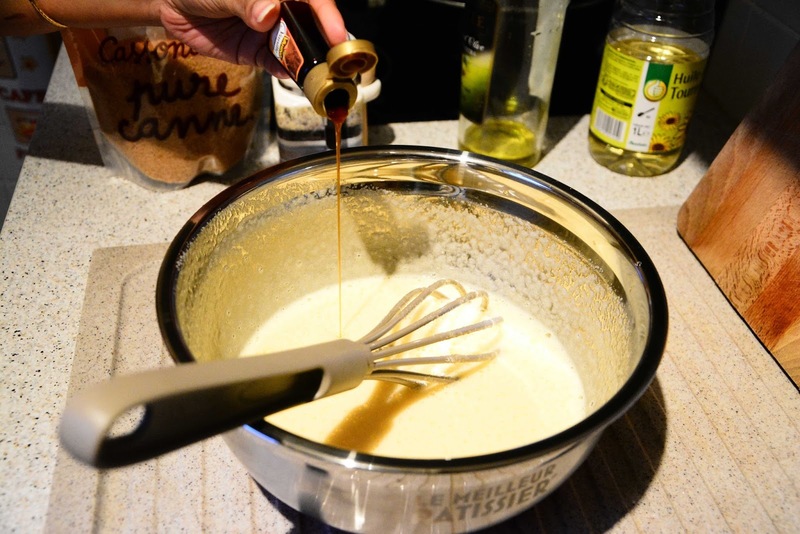 Now add the sugar.Beat it with a whisk nicely until it becomes creamy. 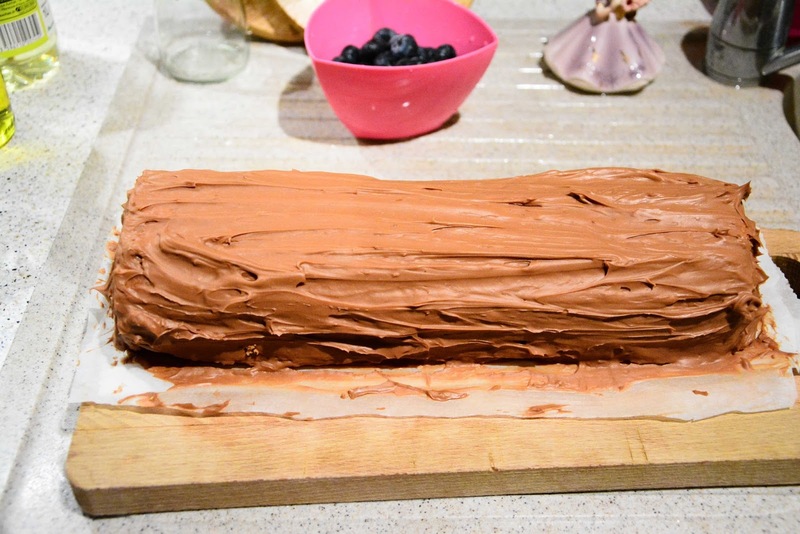 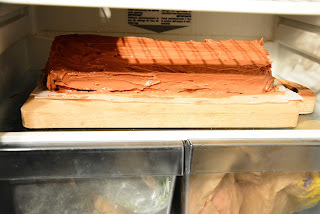 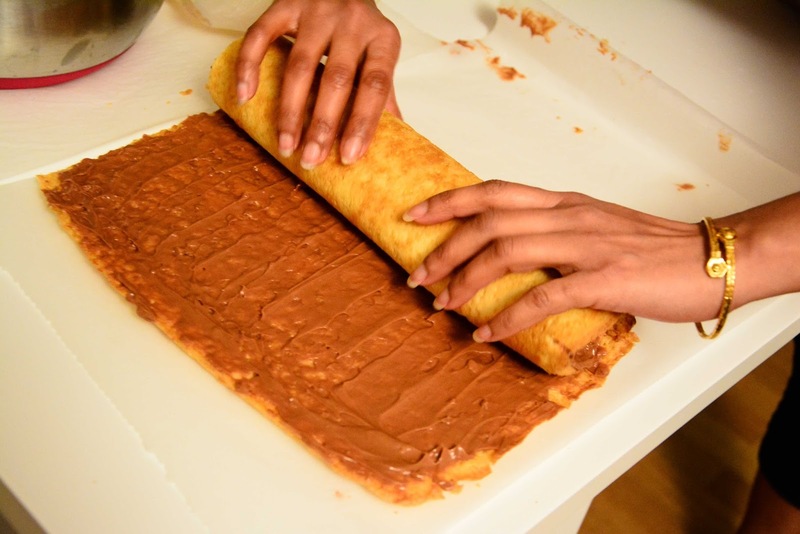 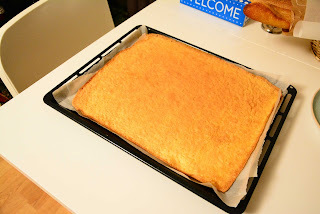 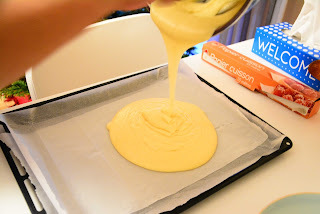 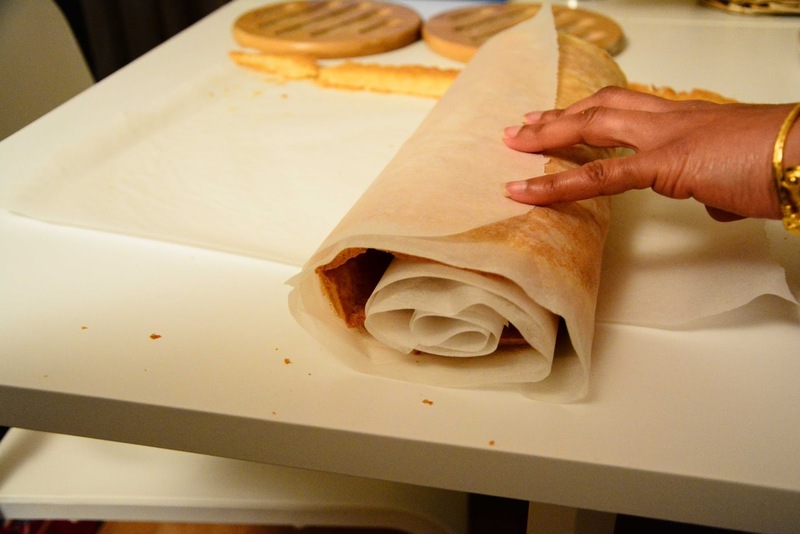 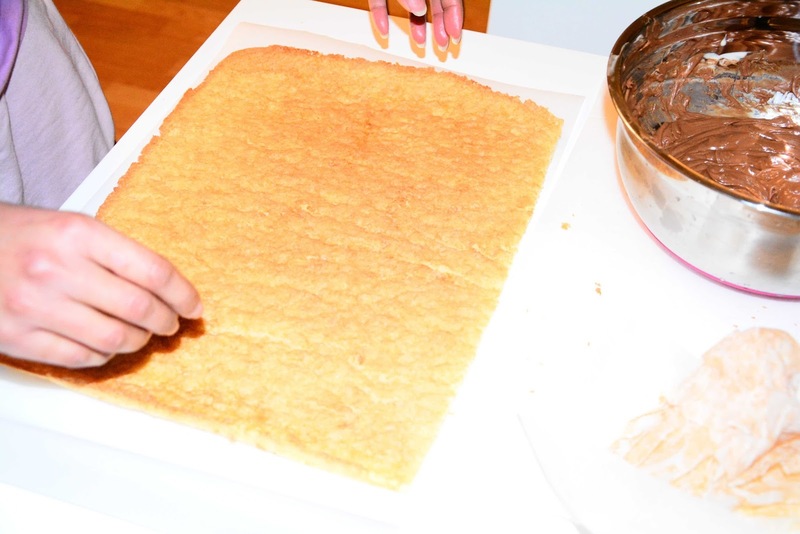 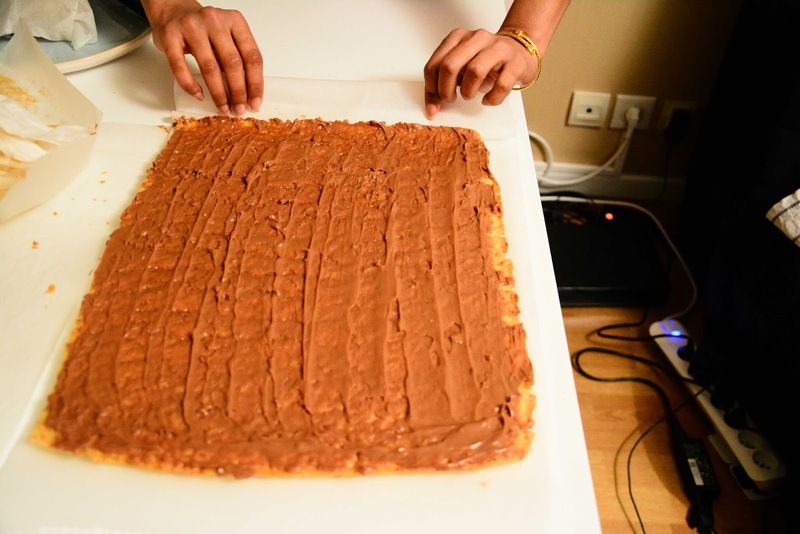 Put a butter paper on a baking tray (around 40cm by 30 cm, the width gives the length of the log cake). 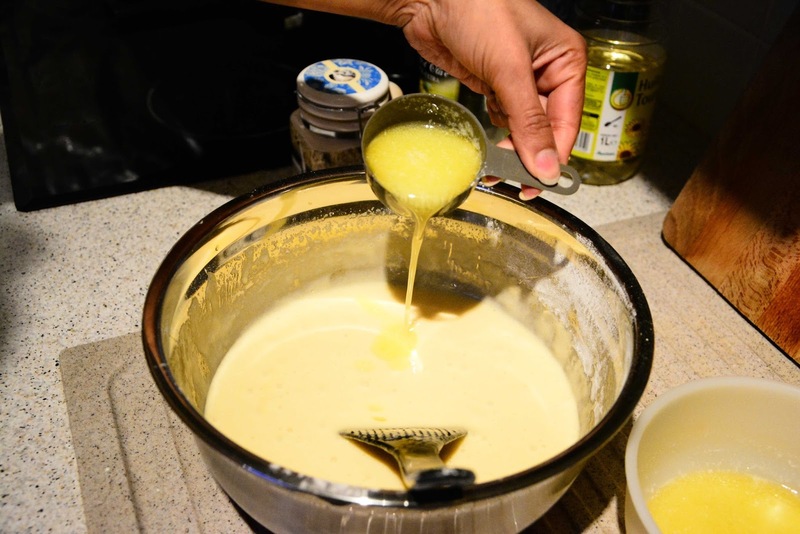 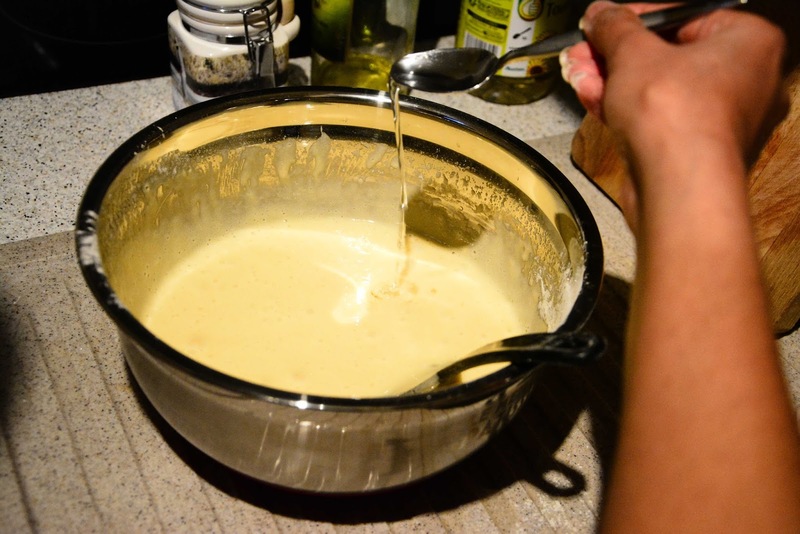 Pour the batter on the tray.With the help of a spatula spread the batter in the tray. 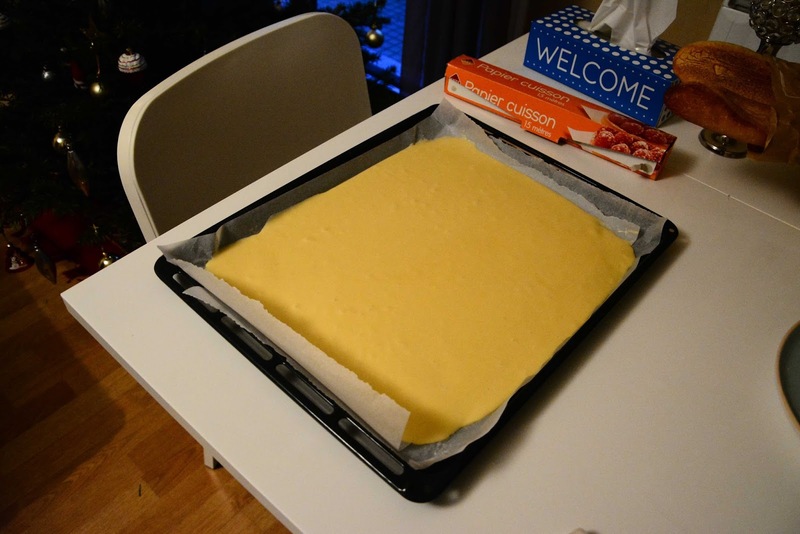 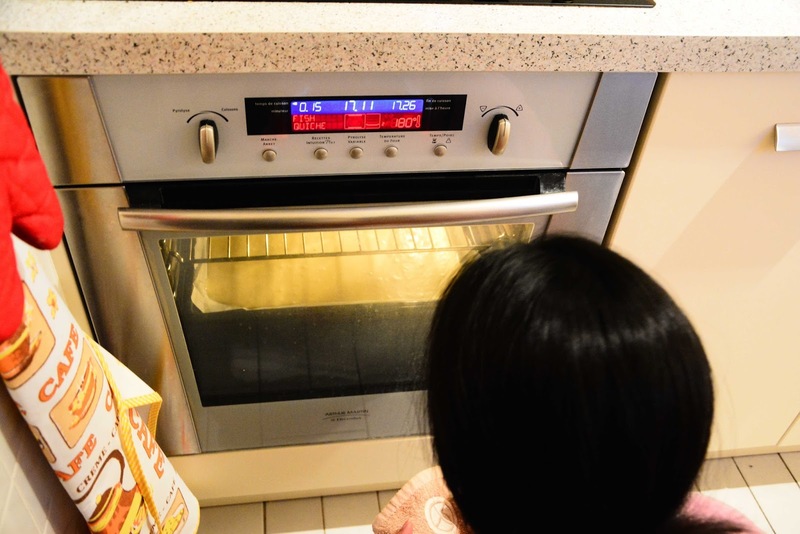 Bake it for 20 minutes at 180°C. 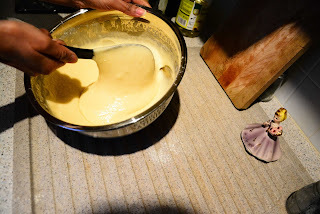 Slowly detach the sponge cake from the lower butter paper but do not remove it. 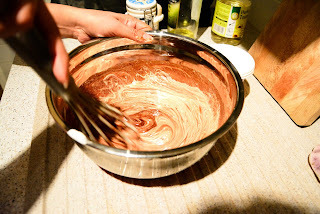 Add the ganache on top of the sponge.Spread it with the help of a spatula. 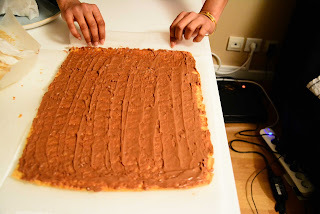 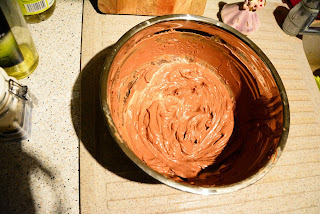 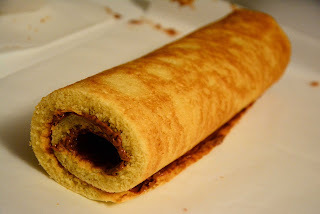 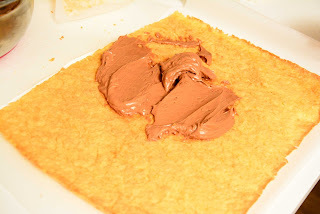 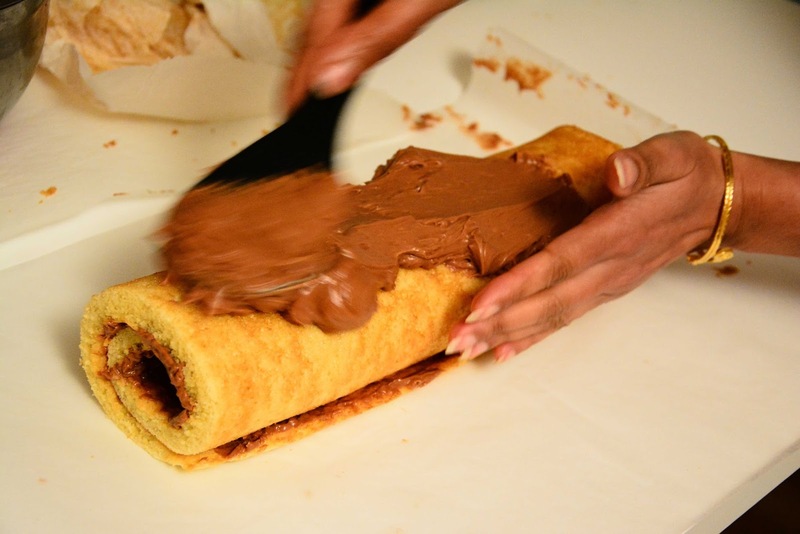 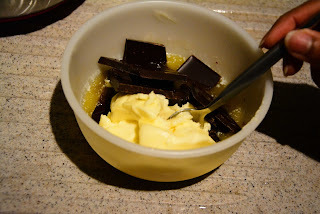 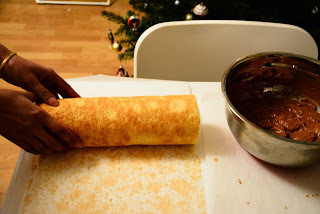 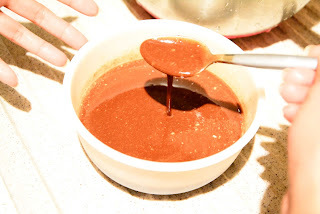 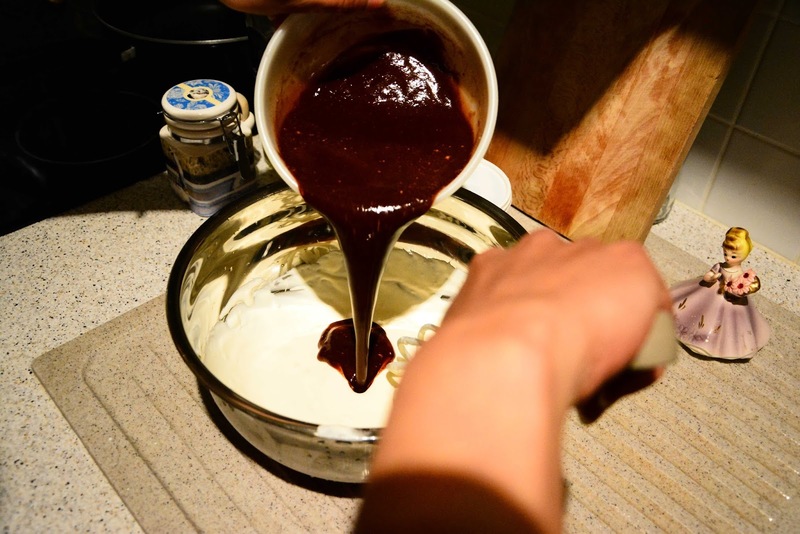 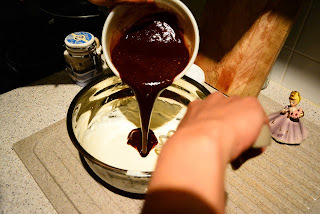 Now add the ganache on top of the roll and spread it and cover it completely, including the two sides. 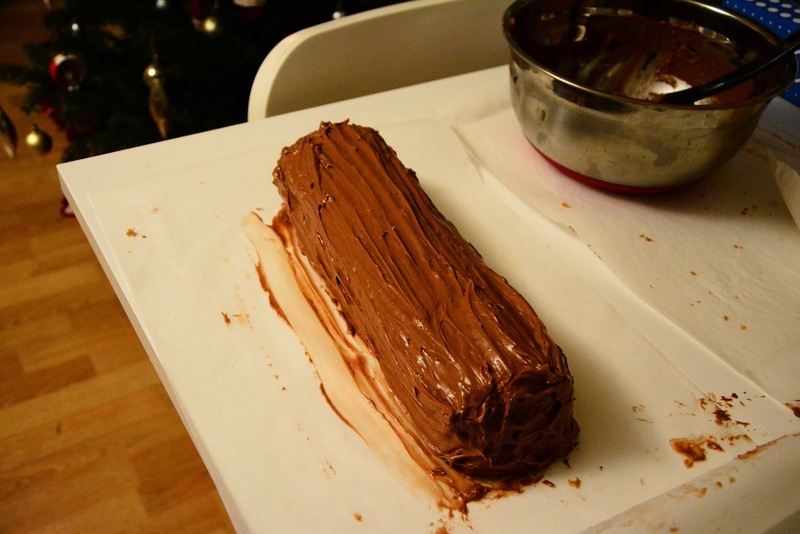 Make some lines on the ganache with the help of a fork to resemble a log.